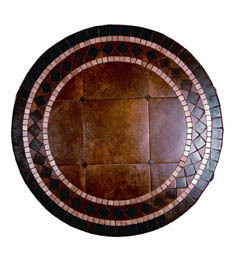 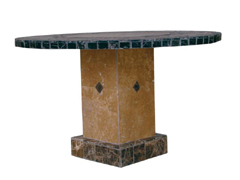 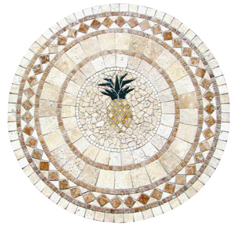 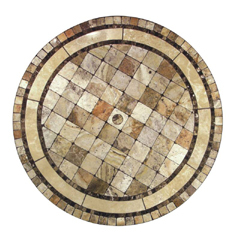 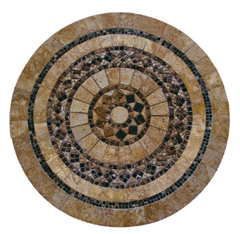 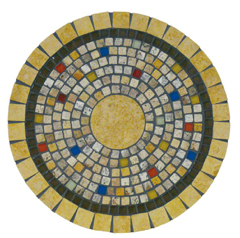 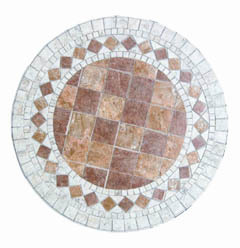 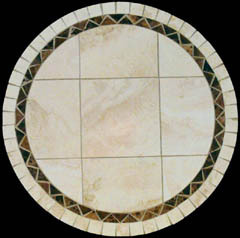 The table top designs found below can all be crafted into your choice of any size and shape that you want. 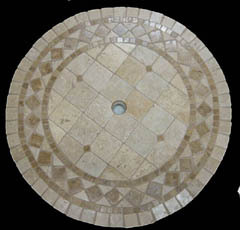 We have a dozen options listed, but if you need something specific made, contact us and let us know. 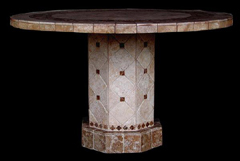 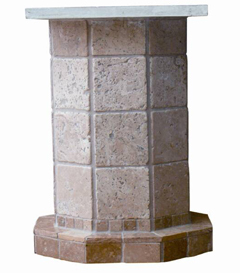 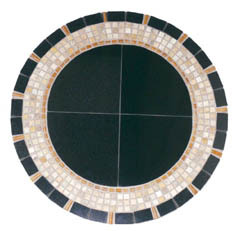 We can create a bistro table that is as large or as small as you may need. 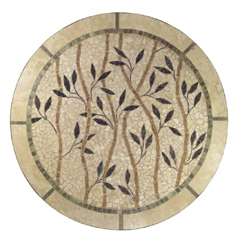 Brilliant trails of twining vines with lush green leaves sprouting in hopeful eminences, lacing back and forth across the surface of these attractive bistro tables, connecting your space with the beauty of the natural world through both stone and branch, green and gray. 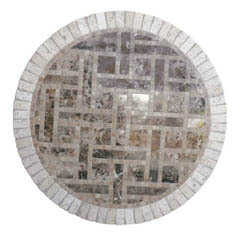 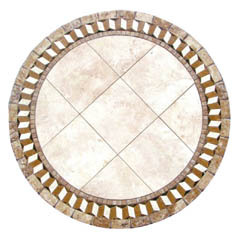 A brilliant medallion of contrasted tones creates a dynamic and moving interplay in the surface of these attractive, natural mosaic stone bistro tables. 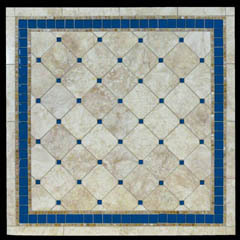 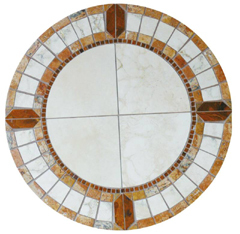 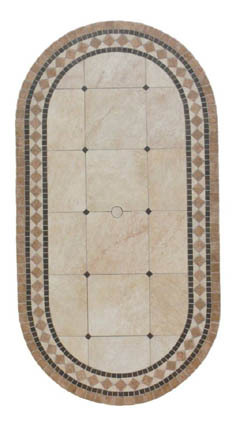 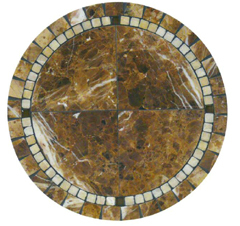 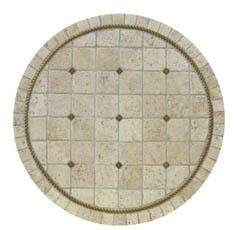 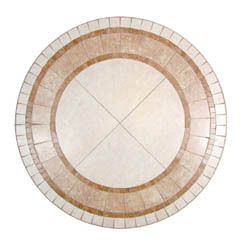 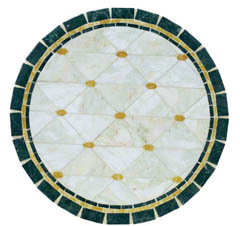 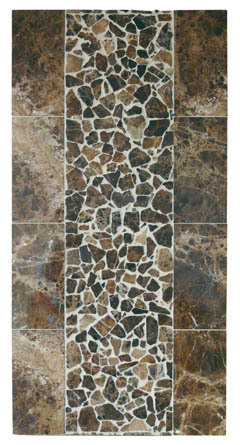 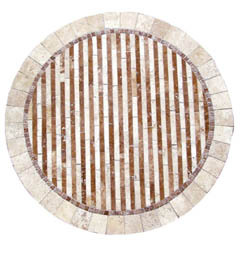 Brilliant sun kissed amber meets creamy white travertine to form a classic contrast. 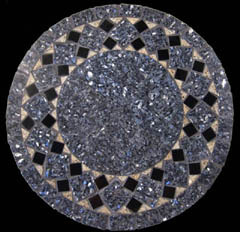 Twirling swirling tones and hues, light and dark twining and twisting in contrasting circles of enclosed beauty. 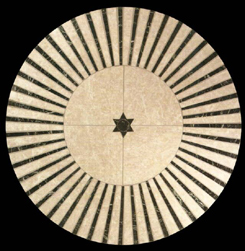 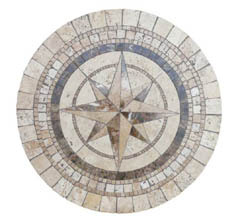 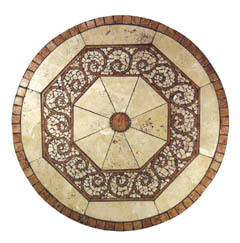 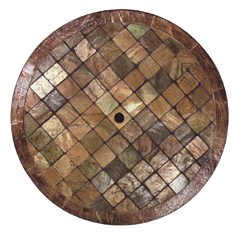 Rustic browns crackling with perceived age, dark tone medallions dancing amidst the swirl, and through it all a star burst center radiating color. 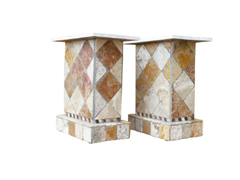 Intertwining rows of elusive mystery twist and twine across the surface of these attractive bistro tables, crafted from real pieces of mountain born natural stone. 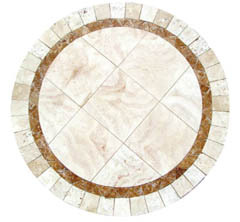 Rated for indoor or outdoor use, and available with an optional onyx ring. 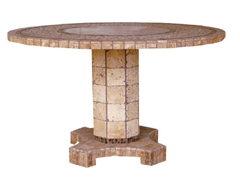 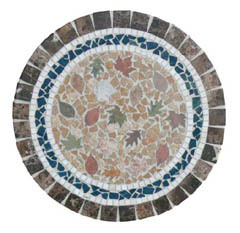 The surface of these attractive bistro tables is a merry, subdued vision of falling leaves, displayed with vibrant colors set against a backdrop of natural mountain born stones, to create an interplay that will bring the vibrant beauty of the natural world to your own home bistro setting.